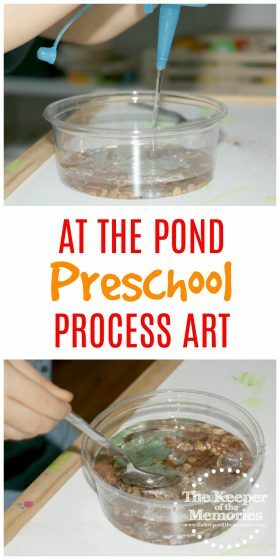 If you’re looking for quick & easy activities for your next preschool pond theme, then look no further. Here’s a definite winner! 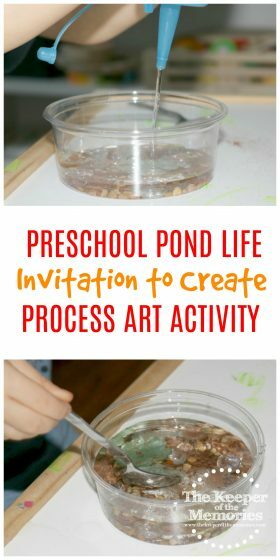 Make your own Preschool Pond Theme Pond Life Invitation to Create Process Art Experience. Your little kids will love it! We’ve had such an awesome few weeks learning about life at the pond with Mother Goose Time. April is all about birds + eggs and we’re just about ready to get started with it. 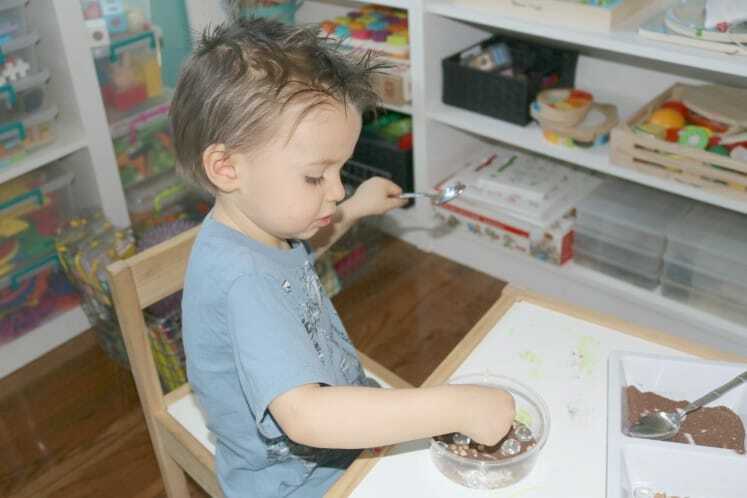 In the meantime, I thought it’d be fun to share one of our favorite activities from this month. This Pond invitation to create process art experience is too cool. Of course the point was to create a three-dimensional model of a pond. We used a photo as inspiration and used lots of different materials. 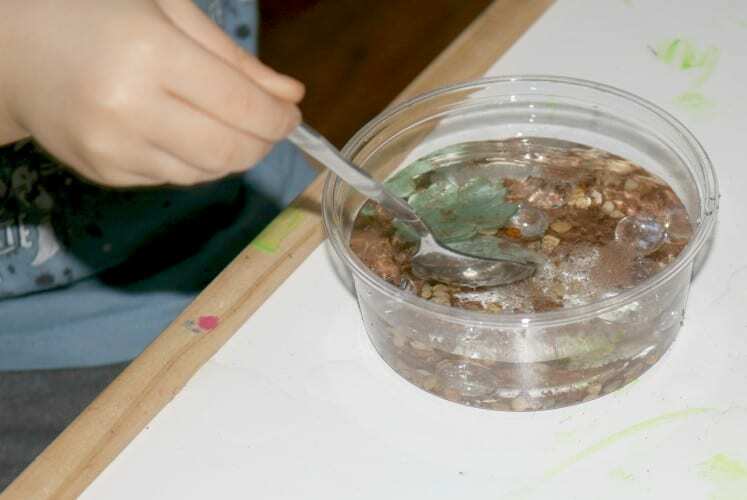 I set out sand, pebbles, and a clear container as well as water, a squirt bottle, and nature items. We used grass, leaves, and flower petals to create our pond. I love that this activity focuses on Earth Science (28.2) and Life Science (26.2). Exploring science with little kids is so important and I’m all for encouraging curiosity about the world we live in. What do you think you would need to make your own pond? 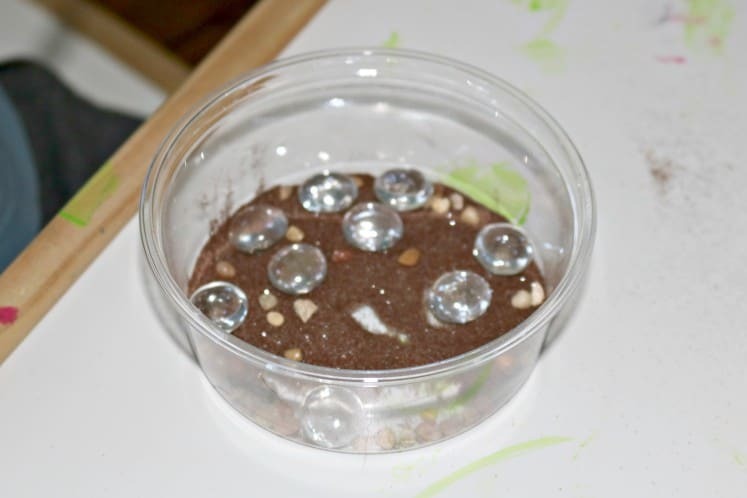 Set out the inspiration photo, sand and pebbles in the center of the table. Add grass, leaves or flower petals. 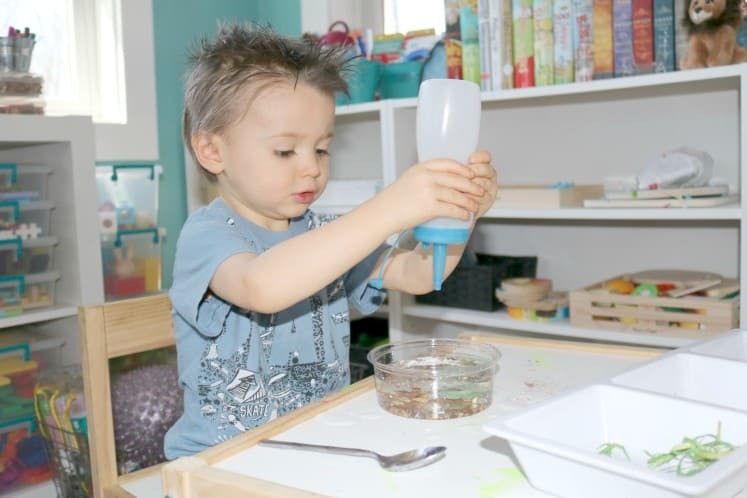 Put water in a squirt bottle or bowl. 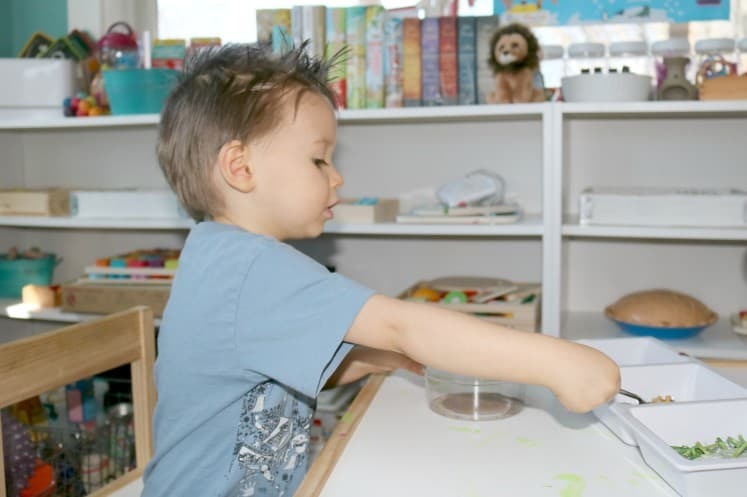 If desired, set out paper and crayons for children who would like to plan their creations first. What do you think might be living in a pond? 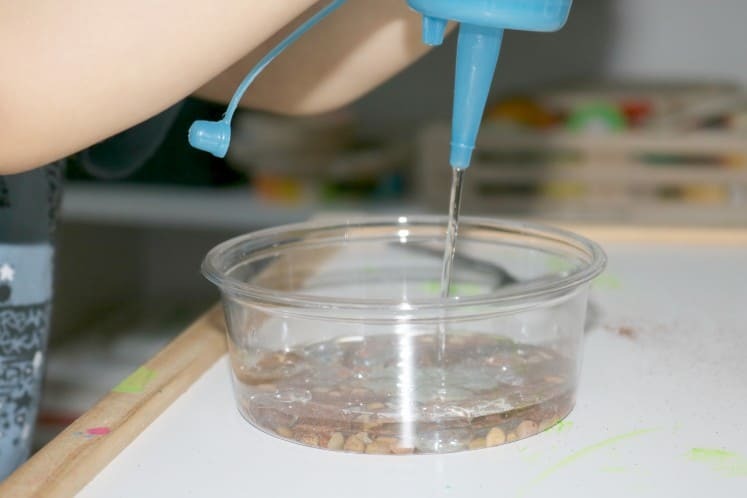 How can you use the supplies to create your pond? What animals or plants would you like to include in your pond. If desired, leave the “ponds” outside for a few days and see if any creatures jump in them. 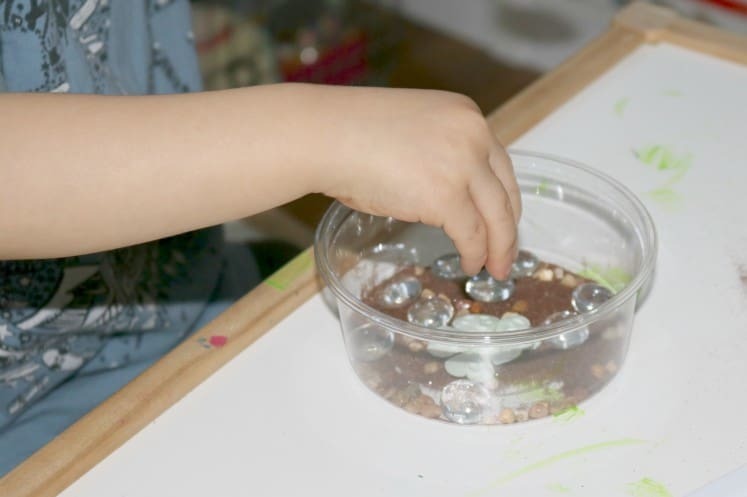 He started with sand and then added pebbles and stones. One of my favorite things about this month’s theme was listening to the little guy tell me that a baby frog was called a tadpole. Like seriously. I can’t even wrap my head around how much he’s learned. He was barely two when we started using this curriculum and now look at him. Mother Goose Time includes lots of opportunities for assessment. You can find out more here. We believe learning is a process. Authentic assessment allows you to capture learning as it happens. 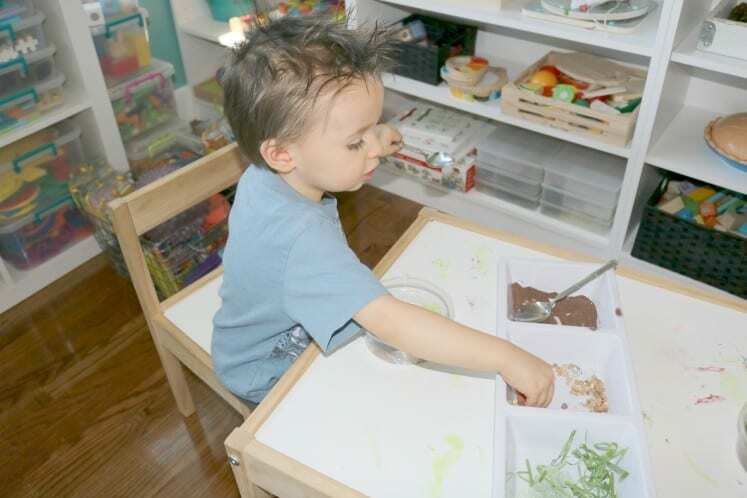 Mother Goose Time offers you resources to help document your child’s learning progress over time through natural and intentional observations. I love being able to see at a glance what skills I should be watching for and it’s great to know that we’re right where we should be and, in most cases, ahead thanks to Mother Goose Time. Assess: Did the child talk about pond life when creating the habitat? What did he include in his pond? We talked about turtles, snakes, tadpoles and frogs, and even ducks this month. We explored different types of pond plants too. And then there were all of the many insects, which included everything from mosquitoes to water striders. And of course we can’t forget about snails, lizards, and fish. There are so many awesome creatures that live at the pond, don’t you think? Are You Ready to Say So Long & Farewell to Creating Lesson Plans?